In 2006, Kerton held his first ever one-man show in the United States, at the Honolulu Academy of Arts (now Honolulu Museum of Art). The Lone Wolf presents the art of Sudjana Kerton, one of modern Indonesia’s most famous painters. Kerton’s body of works includes drawings, graphic works, watercolours and oil paintings that represent the earliest form of postwar Indonesian art. He was an artist of a generation that was globally aware, politically active and intensely involved with aesthetic and formal questions. Today, Kerton is recognized as one of Indonesia’s most original and controversial artists. 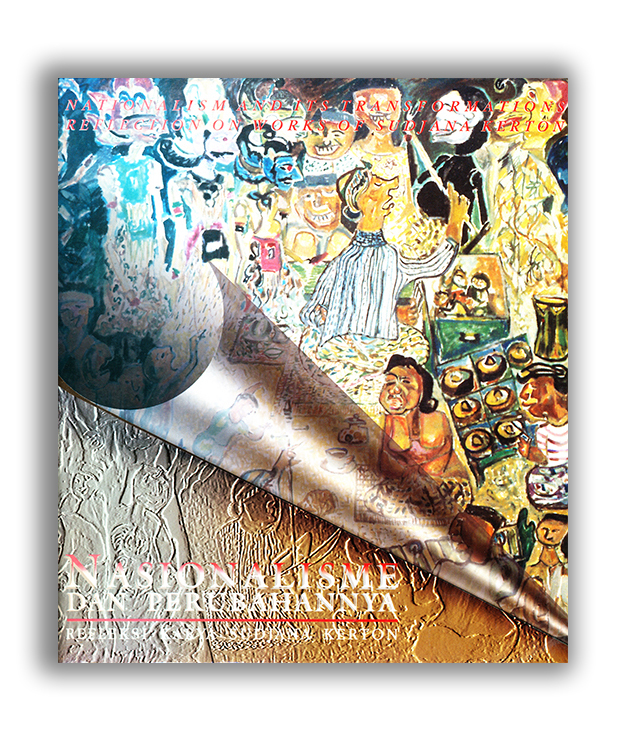 This book consists of the writings of Dr. Astri Wright, Ph.D., Dr. Dwi Marianto, and Dr. Hildawati Soemantri. These writers focused on the artistic character and the art world of Sudjana Kerton from different perspectives. Wright emphasized the formal and conceptual aspects of Kerton’s art work, Soemantri focused on Kerton’s position as an ‘almost forgotten’ artist in Bandung’s art world, and Marianto focused on Kerton as an artist who lived in two distinctly different worlds. It is Kerton’s historical documents and sketches, combined with the ‘living proof’ of his radiant paintings that tell stories of the past and offer a wealth of information for future writers of Indonesia’s art history. Sudjana Kerton was a Sundanese (West Java) painter who started his career during the Indonesian revolution (1945-1950) as a journalist-artist of the daily newspaper the ‘Patriot’. Kerton’s artistic talent and luck took him away from Indonesia and brought him to study and live overseas in the Netherlands and France and finally, for 25 years in the United States. Returning to Indonesia, Kerton brought a wealth of interesting artistic experiences sculpted from his life abroad. The recurring theme of nationalism and other social commentary in his works encourage the viewer to ask questions and create an ongoing dialogue about humanity’s future on a global level. In the words of Sudjana Kerton, from Tanah Airku, My Country Indonesia.